When you want to pair Apple TV remote with your Apple TV, instead of a Siri remote, there are number of things to keep in mind. You might need to pair a new Apple TV remote, in case the old remote got damaged or the Siri remote battery got discharged. Pairing a remote with your Apple TV, helps it to automatically respond to your commands for operating the Apple TV. Multiple unpaired Apple TV remotes might interfere while trying to control an Apple TV within the same range. In this article, we are going to introduce how to pair and unpair Apple TV remote. 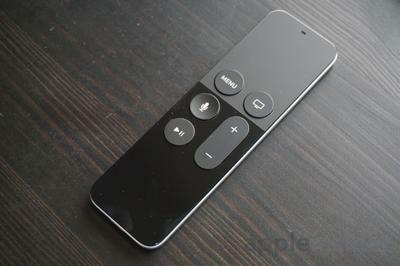 An Apple TV remote is also known as Siri remote. Pairing an Apple TV remote to a 4th generation Apple TV is pretty simple, but if you have a third-generation Apple TV remote then the features might get restricted. In this section we are going to explain Apple TV pairing with a 4th generation Apple TV remote. If you got a new Apple TV, here you will see how to pair new Apple TV remote quickly. 1. Go to 'Settings' and then tap "General". 2. On the Apple TV main menu, select "Remotes". 3. Click on 'Pair Apple Remote', and you are good to go. 4. Upon successful pairing, you can see a chainlink symbol on your Apple TV, right above the remote icon. 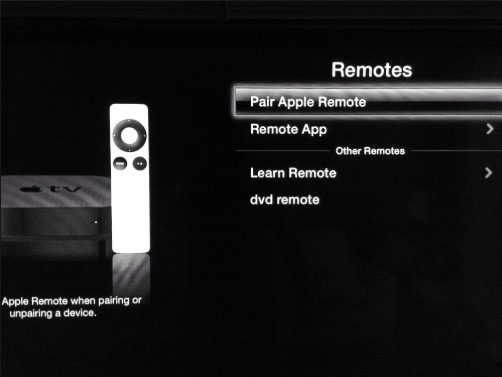 Now, the Apple TV will accept commands only from this paired remote. 1. While using your 4th generation Apple TV remote or Siri remote, make sure to stay within the Bluetooth range. It is recommended to have a clear path between the remote and your Apple TV for better signal reception. 2. Ensure that your Apple TV remote is charged at least for 30 minutes through a USB wall charger/lightning USB cable. 3. After pointing your Apple TV remote 3 inches away from the Apple TV. Press and hold the 'Volume Up' and 'Menu' buttons simultaneously for 5 seconds. Put the remote over the Apple TV, in case prompted for completing the pairing. 4. Disconnect the wall power outlet from your TV and wait for 6 seconds. Connect them again and see that the connection has been established. If the status light (LED) on your Apple TV rapidly blinks thrice while pressing the remote keys, without any onscreen response. You need to unpair the Apple TV remote and pair new Apple TV remote to control your Apple TV. 1. On your Apple TV go to 'Settings' and then hit 'General'. 2. Click on 'Remotes' from the main menu of Apple TV and select the one that you wish to unpair and then press 'Unpair Apple Remote'. 3. Upon successful unpairing of the Apple TV remote, you can find the broken chainlink icon over the remote icon on your Apple TV. This Apple TV can now be successfully paired with a new Apple TV or Siri remote. The best part about this application is, it can get your Apple TV back from a stuck scenario. Be it on recovery mode, Apple logo, or Airplay mode, ReiBoot from Tenorshare can save your tvOS effectively. System repair and stuck issues related to your Apple TV can be fixed without costing you any loss of data. As Tenorshare ReiBoot is an effective solution for fixing all iOS related issues. You can use it to fix your unresponsive Siri remote and access your Apple TV seamlessly. Apart from resolving major iOS issues, Tenorshare ReiBoot can help your iOS device exit or enter Recovery Mode in a single click. It is compatible with most iOS device models. The software is available for both Windows and Mac computers. It can get your device back to life, if its stuck in Apple logo, recovery mode, disabled/frozen screen, or black screen including 50 plus iOS issues. You must know that pairing more than one Apple TV or Siri remotes to one Apple TV is not possible. You either have to reset an Apple TV remote or shift it away from the Bluetooth range while pairing a new remote to the Apple TV. 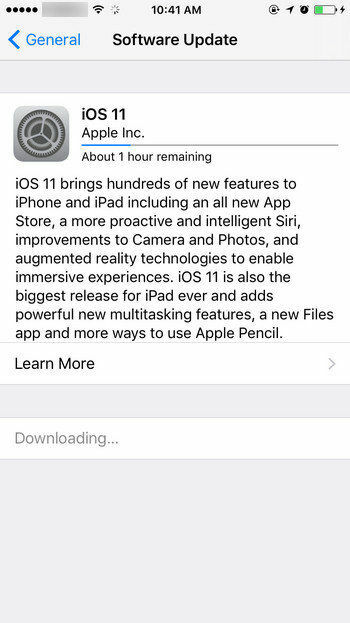 In case you are facing any iOS related trouble or your Apple TV gets stuck midway. You can always turn to Tenorshare ReiBoot and get things going smoothly, without any hiccups or data loss.